It's about time. 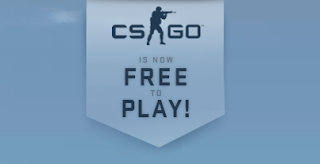 Counter Strike Global Offence is now Free to Play and is getting a Battle Royale like play mode called Danger Zone. It features the same tactic of all the Battle Royale Games we've seen come in this year. A small difference here to note is that the shrinking zone need not necessarily be a perfect circle. Which is nice and give more scope for tactics and playstyle. You'll enter a 16 player match. If you queue as a squad of two or three or party with friends, your match will have up to 18 players. Danger Zone matches are fast-paced and will last about 10 minutes. Players are given 120 hp in Danger Zone.